This fall marks the 15th anniversary of the first episode of Gilmore Girls, and the kickoff of the cult following that developed soon after. As a true Gilmore Girls aficionado, it’s hard not to wonder what Rory Gilmore would be reading today. Based on the massive reading list she accumulated over the course of the show’s seven seasons, here are some 2015 books I bet you’d find on Rory’s bedside table, off in her little corner of the world. 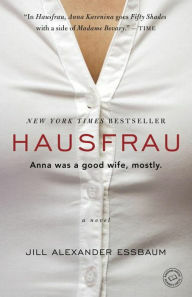 Because she mentioned Anna Karenina in her graduation speech, referenced Daisy Miller, and was seen reading The Unabridged Journals of Sylvia Plath 1950–1962, it’s easy to assume Rory would be one of the early lovers of Jill Alexander Essbaum’s carefully crafted, emotional, and tragic debut novel. Each turn of Anna’s sad, frustrating, sexual, and lost life is one that keeps readers up at night—hoping for the best but expecting the worst. On Rory’s last day before she began at Yale, she and Lorelei spent the evening trapped in Emily’s spare room watching ballroom dancing. 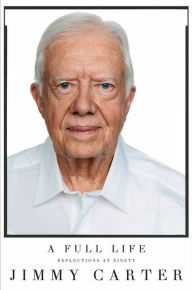 To make light of a tough spot, the two traded Jimmy Carter jokes. Given this, and Rory’s passion for all things politics, you can be sure she’d read this memoir, along with other books from former President Carter, while in the White House Press Room or on the 2016 campaign trail. Carter’s unflinching and emotional look at his personal life and tireless activism make for an inspiring read during these highly volatile times. 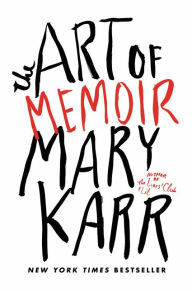 Since Rory wanted to become a journalist, was an English major in college, and was a fan of craft books by Henry James, Amy Tan, and Joan Didion, it isn’t a stretch to picture a crisp copy of Mary’s Karr’s latest on her table, propped up against an oversized cup of coffee. Karr, the author of The Liars’ Club, Lit, and Cherry, wraps her writing, teaching, and diverse life experience up into an insightful guide to writing; fans also get some added behind the scenes details into Karr’s life. It’s nice to imagine that later in life Rory became friends with her exes Jess and Logan, and they all happily traded books back and forth. William Finnegan’s surfing memoir is reminiscent of Please Kill Me: The Uncensored Oral History of Punk and Among the Thugs, both books Rory shared with her old boyfriends. 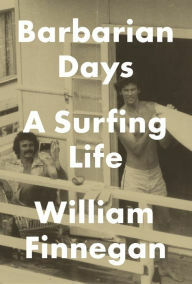 In Barbarian Days, Finnegan provides readers with an opportunity to travel the Pacific, ride insane waves, stare down malaria, and become accustomed to hitherto unseen social customs with humor and a 1960s eye. Not to be left out of current artistic events, Rory would have been an early supporter of Juan Felipe Herrera and his appointment as U.S. Poet Laureate. After all, Lorelei was a fan of Billy Collins, and Rory was known to read Walt Whitman, Emily Dickinson, and Elizabeth Barrett Browning. Herrera’s newest collection, with its socially conscious and welcoming themes, would be a no questions asked addition to her overflowing bookshelves. 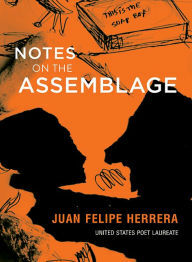 As the first Latino Poet Laureate, and one who began life as the son of a migrant family, Herrera writes poetry that’s as wise as it is encouraging—something everyone who hopes to achieve more should enjoy. What books do you think belong on Rory Gilmore’s bookshelf?